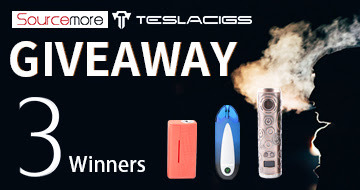 Thank you for choosing Eleaf products! Please read this manual carefully before use so as to use correctly. If you require additional information or have questions about the product or its use, please consult your local agents, or visit our website at www.eleafworld.com. Beautiful yet more powerful, the iStick TC60W is a newly upgraded device sustaining the smart technology of temperature control. Not only does the iStick TC60W support Nickel 200 coil in TC-Ni mode and Titanium coil in TC-Ti mode, it also delivers a satisfying amount of vapor at 60W maximum output. Being replaceable and colorful, its magnetic panels are designed for ease of switching your 18650 cell and changing the panels into a different color. Power on/off: Open the magnetic back panel and put one 18650 cell into iStick TC60W battery body first. Then press the fire button five times in quick succession to turn the device on. In the same way, it can be turned off. High-rate 18650 cell is recommended, for example, Sony US18650VTC4. Vaping: Long press the fire button to take a puff. Stealth on/off: Press the fire button and downside of the adjustment button simultaneously when the device is on to switch between Stealth On and Stealth Off mode. In Stealth On mode, you can vape with the OLED screen off and you can press the fire button one time to see current setting. Adjustment button lock/unlock: Keep pressing upside and downside of the adjustment button simultaneously for two seconds when the device is on, then the adjustment button will be locked and the screen will display “Lock”. In the same way, the adjustment button can be unlocked and the screen will display “Unlock”. Through this operation, you can protect the adjustment button from unintentional presses and prolong its lifespan. Switch display mode: Keep pressing upside and downside of the adjustment button simultaneously for two seconds when the device is off, the screen display will rotate 180 degrees. You can view the screen from two different angles through this operation. Switch among VW /TC-Ni/TC-Ti modes: Long press the menu button to switch modes. 1) In VW Mode: Adjust wattage: In VW mode, the output wattage can be adjusted from 1W to 60W by pressing upside or downside of the adjustment button, upside to increase and downside to decrease. Long press upside or downside of the adjustment button can rapidly increase or decrease the wattage level. 2) In TC-Ni/TC-Ti Mode: When using TC-Ni mode, the screen shows “Ni”, and the Nickel 200 coil is our recommended coil. When using TC-Ti mode, the screen shows “Ti”, and Titanium coil is compatible with this mode. Note: In TC-Ni/TC-Ti mode, please make sure the coil is at room temperature when first used with the iStick TC60W. Adjust wattage: In TC-Ni/TC-Ti mode, the output wattage can be adjusted from 1W to 60W. Keep pressing the menu button and upside of the adjustment button simultaneously without looseness to increase the wattage level. On the contrary, keep pressing the menu button and downside of the adjustment button simultaneously without looseness to decrease the wattage level. Adjust temperature: In TC-Ni/TC-Ti mode, temperature can be adjusted from 100-315℃ or 200-600℉ by pressing upside or downside of the adjustment button, upside to increase and downside to decrease. Long press upside or downside of the adjustment button can rapidly increase or decrease temperature setting. 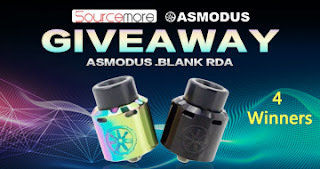 Lock/Unlock atomizer resistance: In TC-Ni/TC-Ti mode, keep pressing the fire button and upside of the adjustment button simultaneously for two seconds to lock or unlock atomizer “base resistance”. The lock sign will appear when resistance is locked and “Ω” symbol will come back when unlocked. 2. Then open the front panel by poking it out with a small hard tool through the hole in the cell slot. 3. Finally you can replace them with panels of different color. The battery power indicator on the screen will keep flashing when the remaining power is less than 10%. iStick TC60W can be charged through USB port at the bottom via 1A wall adapter. The battery indicator will keep flashing during charging and the screen will go out when fully charged. Atomizer Protection: When vaping time exceeds ten seconds, the output shuts off automatically with “Over 10s” display on the screen. Atomizer Short-circuit & No Atomizer Protection: When atomizer short-circuit occurs, the OLED screen will display “Atomizer Short”. The screen will display “No Atomizer” when there is no atomizer connected. Low-voltage Protection: When the voltage of battery is below 3.3V, the OLED screen will display “Lock”. Charge the battery to unlock the device. Temperature Protection: In TC-Ni/TC-Ti mode, if the actual temperature of coil is higher than the set temperature, the screen shows "Temp Protection". Temperature Alert: If the temperature of device is over alert temperature, the output will shut off automatically and the screen will display “Device Too Hot”. 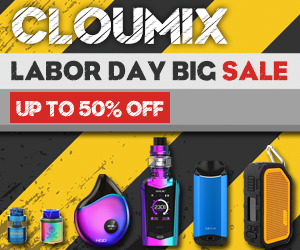 You can continue to vape after it cools down. 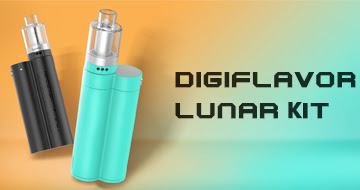 On the magnetic front panel, there are two silkscreen markers named “Eleaf™” and “iStick TC60W”. 1. 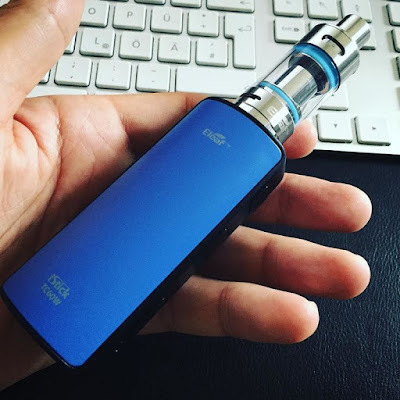 Only have your iStick TC60W repaired by Eleaf. Do not attempt to repair the unit by yourself as damage or personal injury may occur. 2. Do not leave the iStick TC60W in high temperatures or damp conditions, otherwise it may be damaged. The appropriate operation temperature is within 0℃ to 45℃ while charging and -10℃ to 60℃ while using. 3. 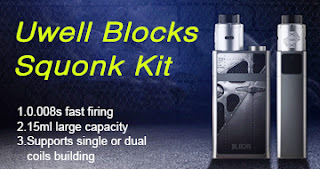 Do not attempt to combine the iStick TC60W with parts from other brands of e-cigarettes. If it is damaged in this way, our company will not take on responsibility and your warranty will be void. 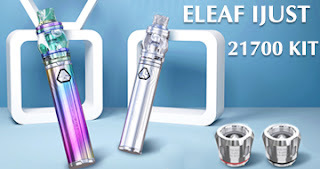 Hope this Eleaf iStick TC60W user manual can help you, powered by Eleaf official authorzied distributor online store http://www.istick.org, you can know more informations about it by visit it.